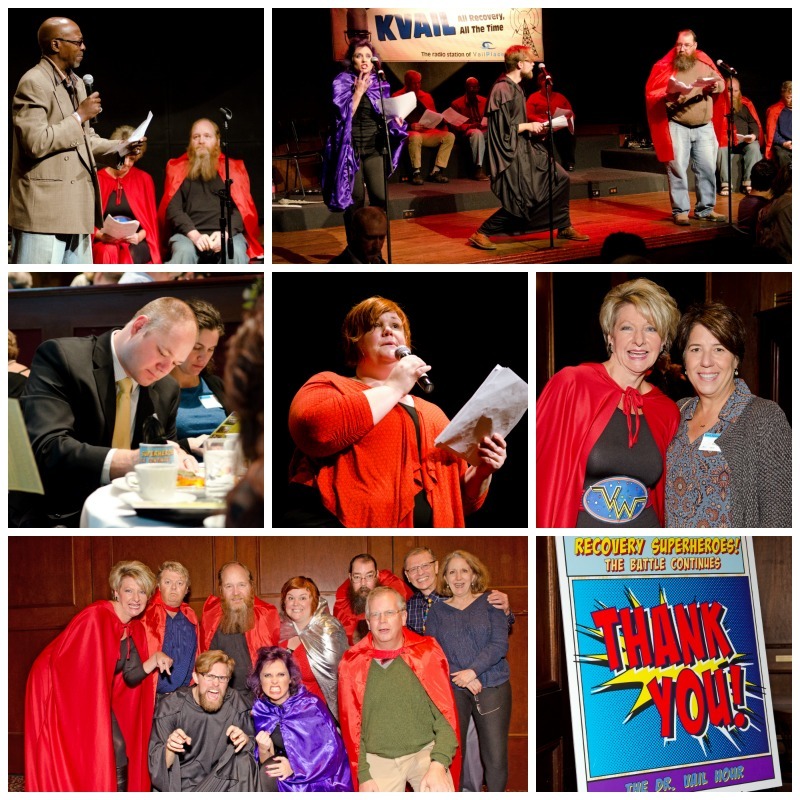 Over 300 people joined us at this year’s Dr. Vail Hour performances of Recovery Superheroes, The Battle Continues. We were thrilled to see so many people excited to become Recovery Superheroes and support the work we do at Vail Place. The highly effective Clubhouse Model provides $14 of value for every $1 donated. Vail Place will serve more than 2,000 people with serious mental illnesses in 2017. Thank you to everyone who was able to attend and give at the event this year. And congratulations to members, staff and volunteers who made this year’s performances so meaningful for all of us. You can still participate with a financial donation by clicking this link.